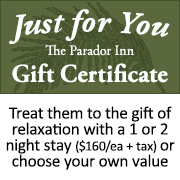 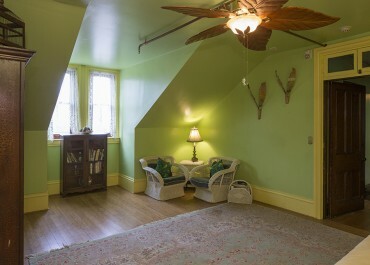 The Lady Palm suite is the largest accommodation at the Inn with 869 square feet. 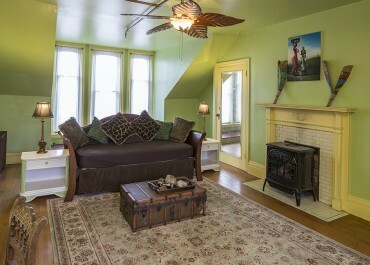 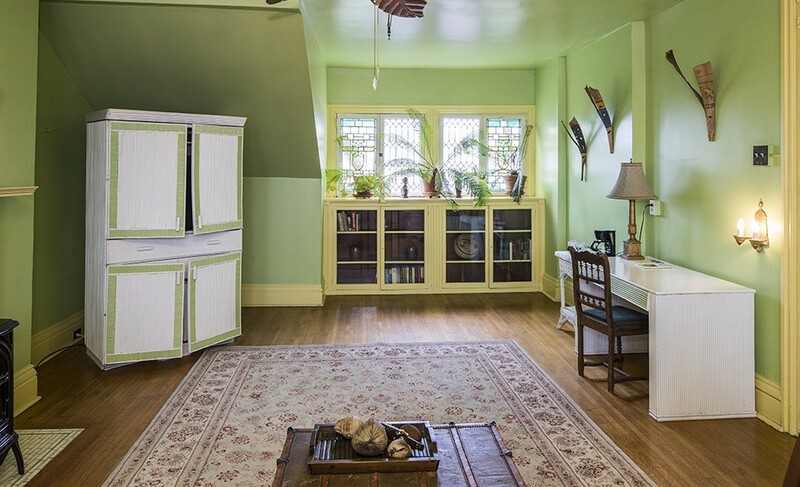 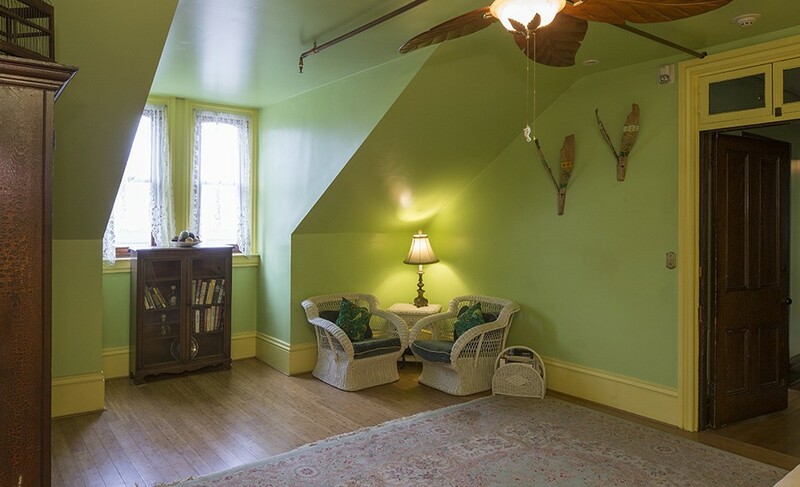 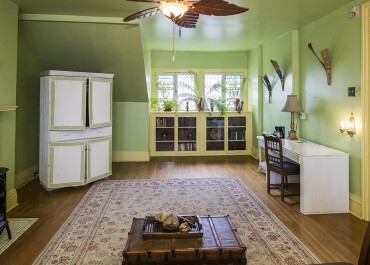 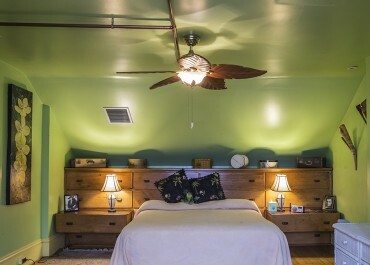 This suite gets its name from the decor, the light green color of young lady palm fronds. 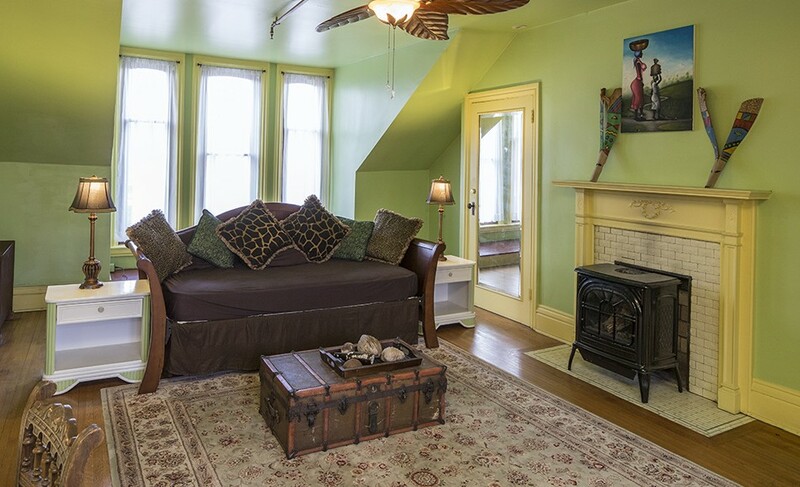 Curl up on your couch which is a daybed in your private living room and enjoy the warmth of your Franklin stove. 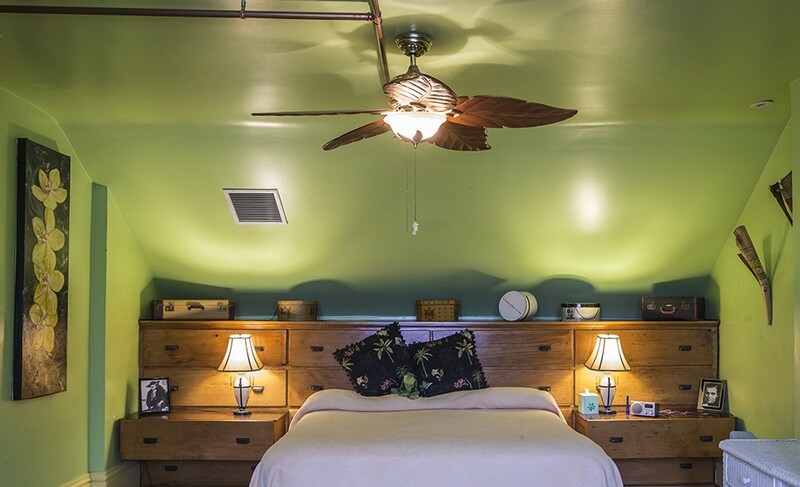 Retire to a king bed that has the original bank of storage drawers as your headboard. 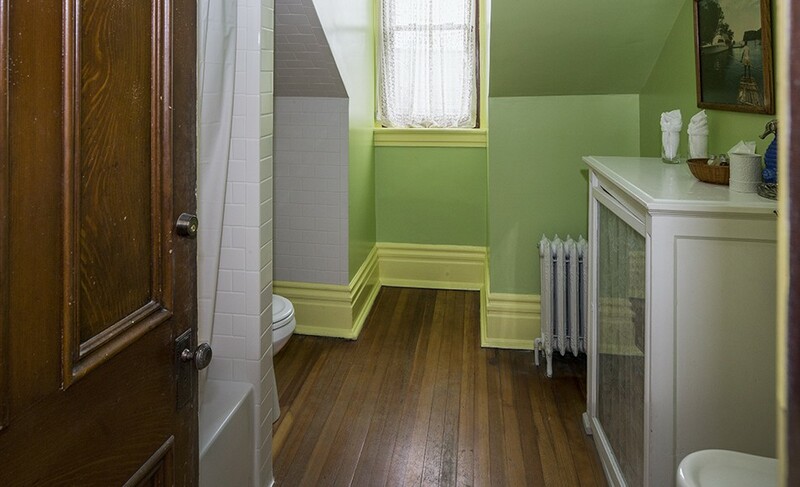 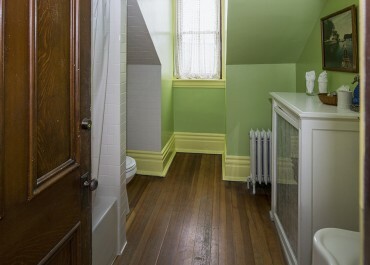 The full, private bath has both a tub and shower.